INSIDE RIDE project focuses on young people living in Brasov and a small town, Intorsura Buzaului, and it takes place between 01.08.2014 and 31.11.2015. 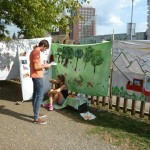 The aim of the project was twofold: by implementing different non-formal education methods raising awareness about cultural and environmental richness, and contributing to personal development of these young people. 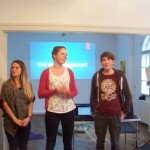 Four international volunteers: Maija from Latvia, Daniel from Germany, Grytine from the Netherlands, and Sandra from Latvia, spent 11 months in Romania in frame of Inside Ride project, between the 1st of October 2014 till the 31st of August 2015. 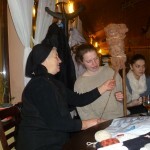 Different non-formal education activities were offered by the volunteers of the project: from handicrafts to playful activities for children to workshops, hiking trips, and board games evenings for teenagers. The volunteers regularly visited different target groups for offering these activities: a Roma primary school, an orphanage/family house, and high schools. 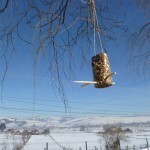 E. Developing a rural- urban partnership. 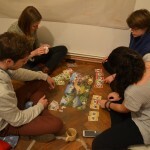 boardgames evenings in Brasov, organized every second week by Maija. Traditional Romanian gathering (Sezatoare traditionala) organized in Intorsura Buzaului together with local people of different ages, sharing traditional crafts, music, dances, food and different stories. 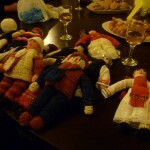 The second Sezatoare was organized internally, among Mirakolix members, and it was focused on sockets knitting technique. 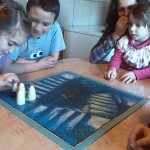 “Un weekend diferit” (A different weekend)- were events organized for and with the youngsters from Intorsura Buzaului. 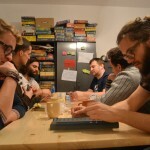 Each of this weekends started with a board games evening in a local bar, and continued next day with a hike on different routes from Intorsura Buzaului and surroundings. 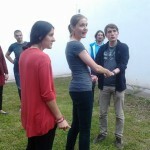 Theater workshops – initiated by Grytine, from the Netherlands and focused on increasing self confidence and self-esteem through theater for the teenagers in Intorsura Buzaului. Baltic party- organized by Maija (Latvia) and Egle (Lithuania, Reshape Urban Places project), as a two-sessions workshop about different traditional dances, food, interesting facts about the Baltic countries, and different ways of spending free time in these countries. 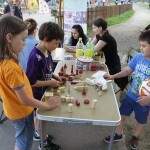 Afară în parc într-un Braşov de poveste- (Out in the park in a fairy tale Brasov) – outdoor events organized in parks in Brasov between May – August 2015, aiming at promoting the activities of the project and building a connection between activities from Intorsura Buzaului and activities from Brasov, and the different target groups. 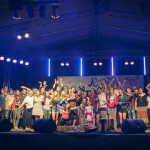 „Ceva de Vară Festival”, 2nd edition, 18-19 July 2015, Întorsura Buzăului, Covasna county. 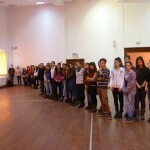 Grytine: theater workshops for teenagers in Intorsura Buzaului. 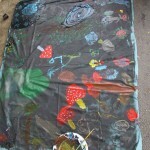 ” Working here with teenagers and children of different age groups taught me a lot of flexibility and an open attitude. It was great for me to discover differences and similarities between the people and conditions in a big city like Brasov compared to a remote town..” (Daniel, Germany) . 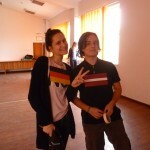 Direct beneficiaries of the project were the 4 European volunteers from Latvia, Germany and the Netherlands. 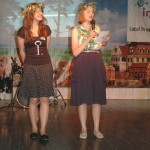 - over 750 visitors of all ages from Ceva de Vară festival. 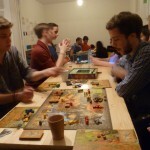 This entry was posted in Activities, Activities for Adults, Activities for Children, Board-game-evenings, Educational projects, European Voluntary Service, Events, Projects, What we do. Bookmark the permalink.